There are three stops you absolutely have to make on this trip: one because of the scenery, two because the beaches are stunning and three – that sun tan is not going to top itself up. 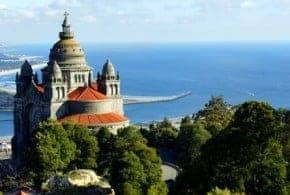 About an hour’s drive from Oporto you will find Viana do Castello, with its neo-Byzantine temple and Praia do CabEdelo – the beach, which is backed by vibrant sand dunes and picture opportunities that will make those Photoshopped images pale in comparison. 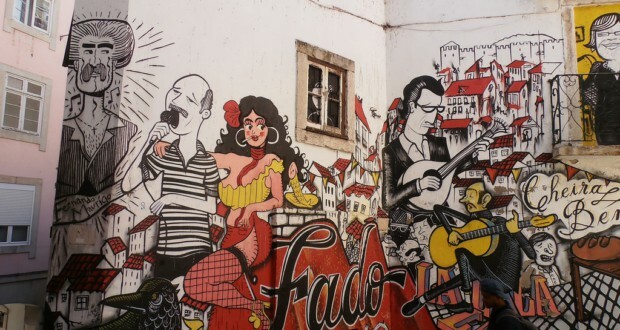 Explore Portugal by taking advantage of local car hire services and drive to Praia Caminha – there is only one word to describe this place: FABULOUS! Based at the natural border with Spain – Minho River, with Santa Tecla Mountain as its backdrop, the scenery is breathtakingly magnificent: featuring pine forests as well as a long stretch of sandy beach to keep you cool and chilled. And to top it all off, if you lie back on the sand you can look at the beautiful view of the 17th century island fortress. 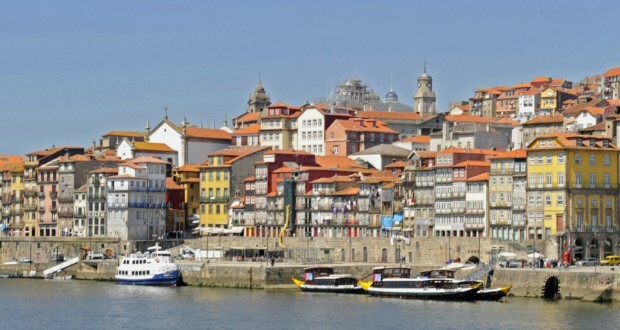 Visiting Northern Portugal you can’t miss Guimaraes – known as the ‘birthplace’ of the country. There you can also visit its castle and churches and learn about Portugal’s colourful past. The historic centre of Guimaraes is the third stop on your route and it’s very much worth spending a night there, just so you can include a visit to the wine estate and discover Britain’s role in the development of the country’s wine. 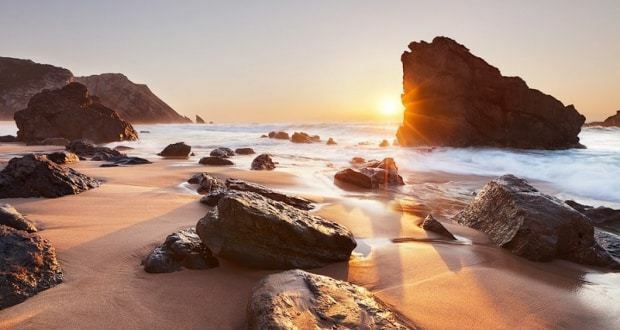 There are approximately 2,000 km of coastline to explore in Portugal so if you don’t own a car, renting one is the best and cheapest option. 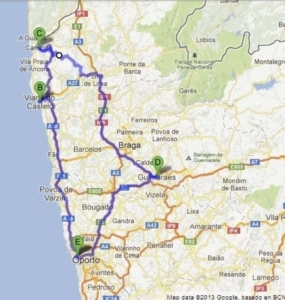 Car hire in Portugal is a fast, easy way to get the best car for this road trip. When booking it you should look to get a small car and make it a hybrid one if possible because even if it startes off more expensive you will save loads on fuel, remember to pack light as it also reduces fuel costs. Once that’s arranged you can explore the wild beaches, imposing cliffs and charming fishing villages. Drive through Northern Portugal’s coastline in your hire car and gasp in awe as you take the scenery in. En route you can have pit stops for surfing, rock climbing or a barbecue and spend the night “free camping”, aka: sleeping in your car by the beach. This is accepted in quiet areas but not in the Algarve where it is illegal. Ever since road trips were invented music has been a favourite pastime for the road. Most hire cars have CD players but that kind of limits your choices, so I’d suggest bringing your iPod or MP3 player as they can store thousands of songs – plus it doesn’t take up as much space. Music is known to raise everyones spirits so bringing great tunes is crucial. It energises the group and will also let you focus on your surroundings. If you’re looking to escape the craziness of the sunny beaches and tanned tourists you can drive up to Sintra for a yoga retreat. Sintra is located just outside Lisbon – which makes this stop a detour – but the yoga and meditation workshops take place in an eco-hostel in the heart of the mountain range. Sintra town is a UNESCO World Heritage site and it is well worth the drive. You can stay there for a night and recharge your batteries before going back home. The next Sintra yoga session starts around the end of August 2013 and the price starts at €400 per person. It’s not the cheapest but you can have guided sessions and will feel relaxed and rejuvenated following your session.